Who Do You Think You Are?" written by Megan Smolenyak is chock full of ways to research family history. 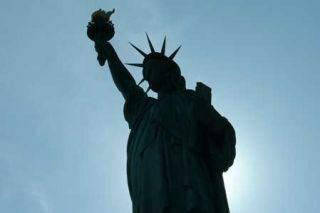 The Statue of Liberty - Ellis Island Foundation, Inc, provides several downloadable resources to support those climbing up the family tree. Encourage researchers to think outside of the computer to talk to living family members, pour over family documents, family Bibles, etc. Once the information is rolling in, the young genealogists will need methods for organizing all of the new data. With all of these terrific tips, teachers and students will have fun identifying all of the branches in their families.